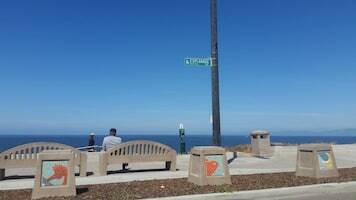 Redondo Beach is an amorphous community, stretching from its southern border with Palos Verdes Estates to its northern border with Inglewood, Lawndale and Manhattan Beach. The city varies tremendously from large multi-million dollar homes perched above the Pacific Ocean to tiny apartments that are relatively inexpensive, but which may fall in areas controlled by criminal street gangs. Redondo Beach has its own police force and City Attorneys as well as several City Prosecutors whose misdemeanor cases are heard with Judge Rene Gilbertson in Department 2 of the Torrance Superior Court on the south end of the second floor. 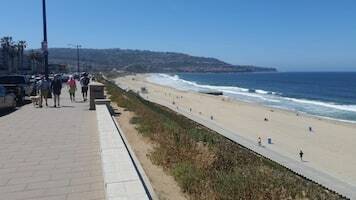 Redondo Beach encompasses the trendy Hollywood Riviera section, the dense condominiums near the Redondo Beach Pier to the older, traditional homes near Redondo Union High School to the congested apartment area just west of the South Bay Galleria. 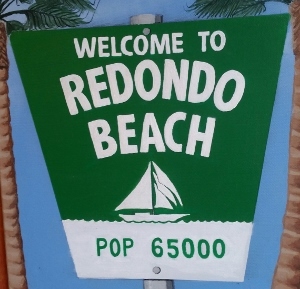 Redondo Beach’s approximately 65,000 residents are largely Caucasian, although there is a recognizable number of Hispanics and Asians, especially in the northeastern parts of the city There are very few African Americans. A significant portion of the population is employed in the aerospace industry and services sector. Legal disputes arising in Redondo Beach are heard in the Torrance Superior Court. Such cases, both criminal and civil, draw jurors from Torrance, Hermosa Beach, Manhattan Beach, El Segundo, Hawthorne, Lawndale, West Carson, Palos Verdes Estates, Rolling Hills, Rolling Hills Estates, Lomita, parts of Harbor City and of course, Redondo Beach. Our office has handled dozens, if not well over 150 cases arising out of Redondo Beach. DUI is very common, especially with traffic stops made along Pacific Coast Highway, Prospect Avenue and Catalina Avenue. There are also a relatively high number of shoplifting matters, especially those arising out of the South Bay Galleria. Lastly, there are a large number of domestic violence cases, often fueled by alcohol. The way such cases are handled is unique, at least for the Torrance Courthouse. The case will begin in Department 3 with Judge David K. Reinhert. This is considered an early disposition (EDP) court, where offers are made on a “one-time only, take it or leave it” basis. However, sometimes, it is professionally irresponsible to even respond to such offers when the prosecution fails to provide a 911 call (for example in a domestic violence case) or a MVARS, or mobile video audio recording system (“dash cam”) in a DUI where the legality of the traffic stop is a contested issue. It the case does not resolve in Department 3, the case is set for pre-trial hearings in Department 2 with Judge Gilbertson. Often, the offer never changes, even in the face of irrefutable, helpful evidence for the defense. One time, in our experience, our client was facing two charges relating to shoplifting and our office was successful in having one of the two charges completely dismissed by the judge. However, the offer to our client went up instead of down! If one does wish to go to trial, perhaps to demonstrate to the Redondo Beach City Prosecutors the error of their ways, the case is handed over to a TAP attorney (trial advocacy program) and the Redondo Beach City Prosecutors never receive their comeuppance. A TAP attorney is an attorney, often from a larger, well-paying civil law firm such as those in downtown Los Angeles, who gets to take a case to a jury trial for trial experience. Such attorney often spend significant time preparing the case with a team of paralegals and secretaries. If the case ends in a defense verdict, the result will be explained as the fault of the TAP attorney. If the case ends in a guilty verdict, the Redondo Beach City Prosecutors will see the verdict as validation for their unreasonable position leading into trial. It is a frustrating situation, as the normal “check and balance” in other courtrooms is missing.